The Washington Post‘s Wonkblog reported Thursday that immigrants in the United States are increasingly going hungry because of President Donald Trump, while offering no evidence to show that is actually the case. The Post‘s headline was unambiguous: "Immigrants are going hungry so Trump won't deport them." The premise of the story is that legal immigrants who receive federal food stamps are abandoning the SNAP program for fear that Trump might use it to locate and deport them. The story is based largely on quotes from activists and SNAP officials who worry that is the case. But missing from the story are any statistics showing SNAP usage decreasing nationwide, or any statements from immigrants who had left the program. "The evidence is still anecdotal–and the Washington Post was unable to speak directly with immigrants who chose to cancel their SNAP benefits," the paper wrote in the story's eighth paragraph. 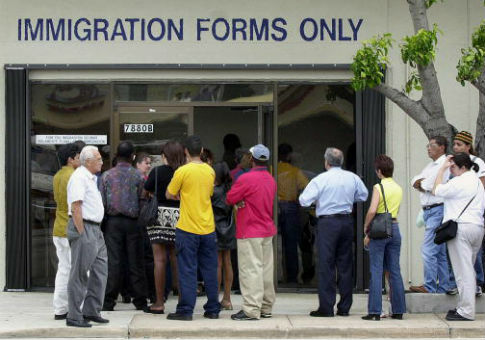 The article did say the number of immigrant households in Texas requesting voluntary withdrawal from food assistance has dropped since late last year. But it also noted other states have seen increases, while figures are inconsistent nationwide. 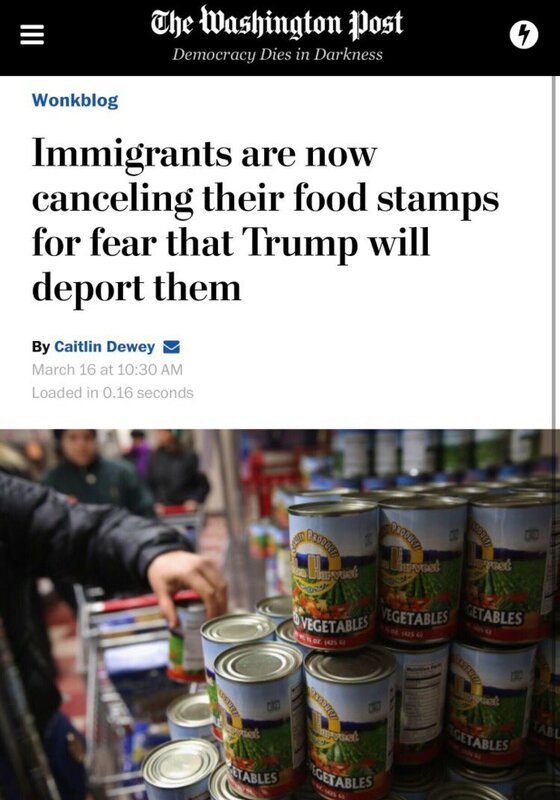 The Post‘s original headline for the story was: "Immigrants are now canceling their food stamps for fear that Trump will deport them." That version also did not provide information to show a correlation between immigrants leaving SNAP and implementation of Trump's immigration policies. This entry was posted in Issues and tagged Donald Trump, Food Stamps, Immigration, Washington Post. Bookmark the permalink.